The most effective management strategy is to try to prevent the behaviour from escalating out of control in the first place. All behaviour is communication. It is goal-oriented, functional, and serves a purpose. how to capitalise on their strengths to help them reach their objective. 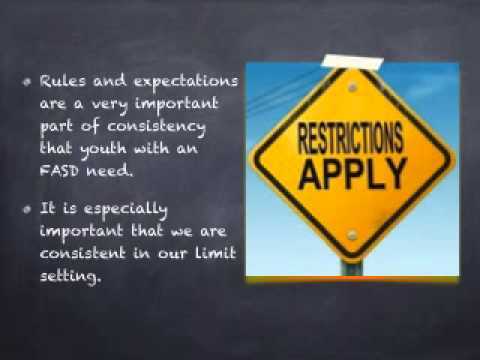 Students with FASD are more comfortable in predictable environments. Collaborate with whānau and other teachers to plan coherent approaches. One student regularly had difficulty in the cafeteria. He was suspended on numerous occasions for breaking the cafeteria rules. When he was asked to tell someone the rules, he could state them. When he was asked to demonstrate he understood them, he became teary-eyed. He did not know where to sit or what to do with his tray. The counselor helped him to role-play different cafeteria scenarios and showed him where to sit and where to get his tray. Then she took photos of him doing things the correct way in the cafeteria so he would have them as a reference. Discuss the anxiety curve with the student. Identify what each stage feels like. Start at 5. Identify the tipping point and what could come before it, for example, music in a calming space. Share with the student's teachers and peers.